Being first out of the blocks is important in the world of consumer tech, but the most successful gadgets tend to be carefully thought out responses to what's already on the market - and that's exactly what this 40-inch Edge LED backlit LCD TV tries to do. 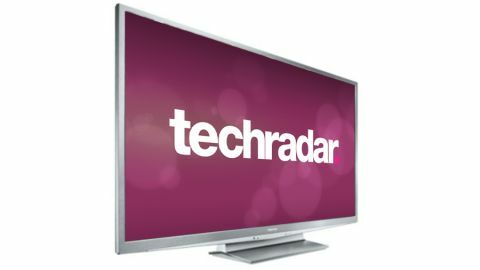 Announced at Berlin's IFA exhibition last autumn, but launched in the UK this month, the Toshiba 40RL858 addresses a perceived demand for smart TVs by putting a revamped version of Toshiba Places at the forefront of an increasingly standard feature set that marries a Freeview HD tuner with Edge LED backlighting and 100Hz scanning. However, there's no suggestion of 3D goodies, despite Toshiba having issued televisions in 2011 with both active shutter and passive 3D systems. Not atypically for a flatscreen TV, the Toshiba 40RL858 is also all about outward appearances, adding to the current penchant for metallic-clad designs, and with an impressively slim depth of just 38mm. What's more, the bezel around the panel measures a tiny 80mm, which is far more impressive than the slightly plasticky-looking metallic 'styled' chassis. The Toshiba 40RL858 comes in only one other size, the 32-inch 32RL858. But the RL Series isn't the only clutch of Toshiba TVs arriving early in 2012. Also available is the TL868 Series, a slightly higher end choice including the Toshiba 40TL868 and Toshiba 46TL868. This series adds active shutter 3D (perhaps as a response to some underwhelming reviews of passive 3D TVs? ), 200Hz scanning and an extra HDMI port, as well as sporting a gloss black finish. Although the Toshiba 40RL858 is all wired up for some online action, it lacks integrated Wi-Fi. That's a real shame, and its absence is likely to make Toshiba Places an underused resource, although the brand does sell a WLM-20U2 Wireless Dongle for an additional £30 or so. Toshiba Places is slowly becoming a genuinely useful online hub. It's had the likes of BBC iPlayer, YouTube and Flickr for some time, and now adds Facebook and Acetrax to the mix. Also strung across an unusual scrolling timeline-style user interface are the likes of Aupeo (web radio), Viewster, Dailymotion and Woomi (random video content), alongside three rather lacklustre (though child-friendly) subscription apps, Box Office 365, Cartoon Network and HiT Entertainment. This odd mix of services doesn't really deliver the choice and openness that the best smart TV platforms do, although we suppose the presence of BBC iPlayer on its own will be enough to convince a lot of people to invest in Toshiba Places. A Freeview HD tuner and CAM slot (for adding subscription channel packages) mean one less HDMI input on the Toshiba 40RL858 than is becoming normal - there are only two on the reverse of the TV, with a third on a side panel. Also back there is a set of component video inputs, and slots for composite video, RGB Scart, a D-Sub 15-pin port for directly attaching a PC or laptop, and Ethernet LAN for getting online via wires. Audio is sent in via some phono inputs (if you're using those component video slots) and out through a digital optical audio output. Sadly there's just a single USB 2.0 slot on the Toshiba 40RL858, and although it's able to play a plethora of video, music and photo files from a thumbdrive, we're confused as to why it's alone - where's the Wi-Fi dongle supposed to go? With an Edge LED-backlit panel with 100Hz scanning, the Toshiba 40RL858's core hardware is relatively advanced for the money. The panel itself boasts a Full HD 1920 x 1080 pixel panel, support for 24 frames per second (fps) fare from Blu-ray discs, while a sensor can be activated to automatically dim or brighten those LEDs, as ambient light conditions prescribe in a feature called AutoView. Tweakers can perform a detailed calibration on the Toshiba 40RL858, with everything from base colour adjustments and colour temperature changes across the spectrum all possible. For more casual users, there's a roster of preset picture modes that include a game mode and useful Hollywood 1 and Hollywood 2 settings (the former is the cleaner, darker and most natural). We didn't find the ColourMaster feature of much use, although the usual digital noise reduction tech is worth experimenting with if you're watching non-HD channels on Freeview.